Park Them All is a puzzle game developed by Aceviral and has simple but familiar-looking graphics that’s suited for kids and families. The interesting thing about this game comes from its simple but unique play style. You might have played racing games where you upgrade your vehicle and racing games that have guns in it... but have you ever had to park your vehicle? Because Park Them All will bring you this new and interesting experience. If you thought with cars that going at high speeds is hard then you’ve left out one incredibly important aspect and that is parking the cars. In the game you play as a car park keeper and your goal is to park the cars in the correct spots. The game has a total of 12 stages. Note that you’ll have a damage bar, if your car hits an obstacle like a wall, a guard rail or another car then the damage bar will decrease until the bar is completely depleted in which case you’ll fail the stage. There is also a time limit for each stage, and if the timer runs out and you still haven’t finish parking the cars then you’ll also fail the stage. 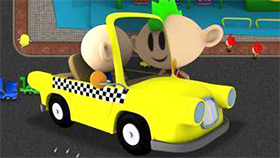 When you finish parking the car, the game will judge on elements like if cars are park in the correct spots, the amount of time taken to park all the cars, the amount of damage cause to the cars... and from there your parking score will be calculated for that specific stage. 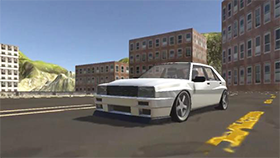 Use arrow keys to control cars. When parking, pay attention to the parking score on the bottom-right corner of the screen with S being the highest score you can get.